Office Lock Out situation can ruin all your day and impact your income. You’re losing money because your staff wait while they get paid and your customers knocking on the door, but you can’t provide service. You need to think fast to save your business day. What are you going to do now, how you’re going to call? The only way to solve this lock out problem fast is calling our emergency locksmiths in Allentown PA. Call us and receive an outstanding emergency lock out service as well as fair price. We can unlock your business in a short time frame. It doesn’t matter if you need to unlock your storefront door, office door, And just to point out, of course we can unlock any file cabinet lock, as well as storage door lock. Commercial lock outs can happen everywhere in your business. It can happen with an external main door, or office door inside the building. You can also lock yourself out of a file cabinet or desk. When you lock yourself out from anything in your business, don’t hesitate to call us for help. In many cases, unlocking commercial doors and locks is not an easy task. Sometimes, commercial doors are very heavy and commercial lock are heavy duty. Many commercial locks are harder to pop open because they content extra pins and security. 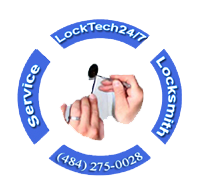 Our commercial locksmith services goes beyond lock out assistance. We can also re-key or master key your locks, as well as repair, replace and upgrade the security of your business. We can do it all, whether small job or big job, we’re ready for your call. If you’re interested in further coming locksmith service, please enter our Commercial Locksmith page to find more.